Skipping My Way to the End | OccasionalPiece--Quilt! Posted on May 12, 2010 by Elizabeth E.
I’m headed off to give my class their final exam. It’s the last day of class, and we’ll meet once more at their final exam time so the students can see their exams, check their grades. The trend has been to give the finals early–apparently it’s happening in all their classes. I don’t know why the math teachers do it, after all they have scantrons, but the Englishy types give the exams earlier because there’s just so much to correct and grade. Stacks and stacks. Reams and reams. Tons of stuff. Last Sunday I pieced 4 blocks for my friend’s humanitarian quilt project. 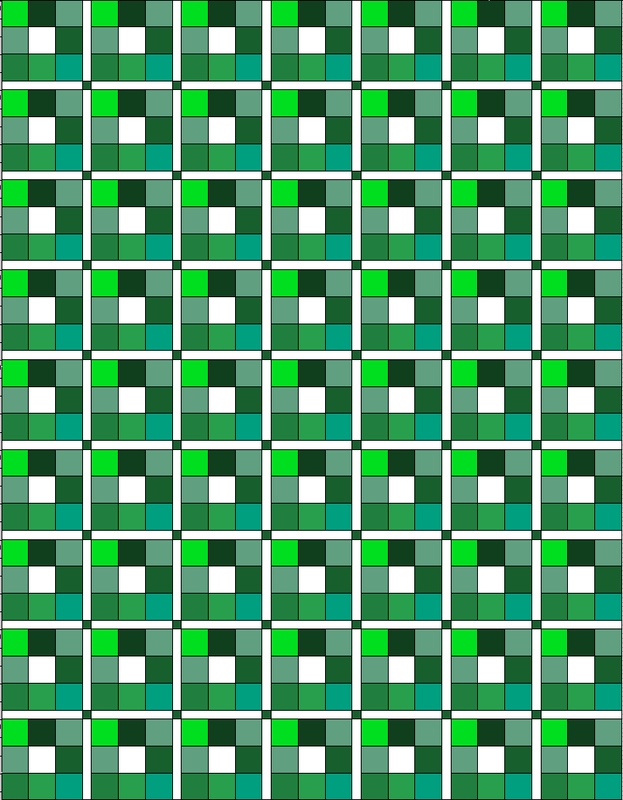 I cut out 3 1/2″ squares of green fabric, layered two together and stitched two diagonal lines, 1/2″ apart. I cut the square apart between the stitched lines making what’s known in the trade as “half-square triangles.” Here are the squares above. But I was left with lots of 3 1/2″ squares and I was DONE making triangles. So I started sewing them together, putting a white square in the middle, in hopes of making a new twin-sized quilt for the guest bedroom (we already have one twin-sized quilt–just need another). See below for diagram. My inspiration was the bright pink and orange quilt that I made last summer. After I grade my stacks and stacks and reams and reams, I’ll get back to this. 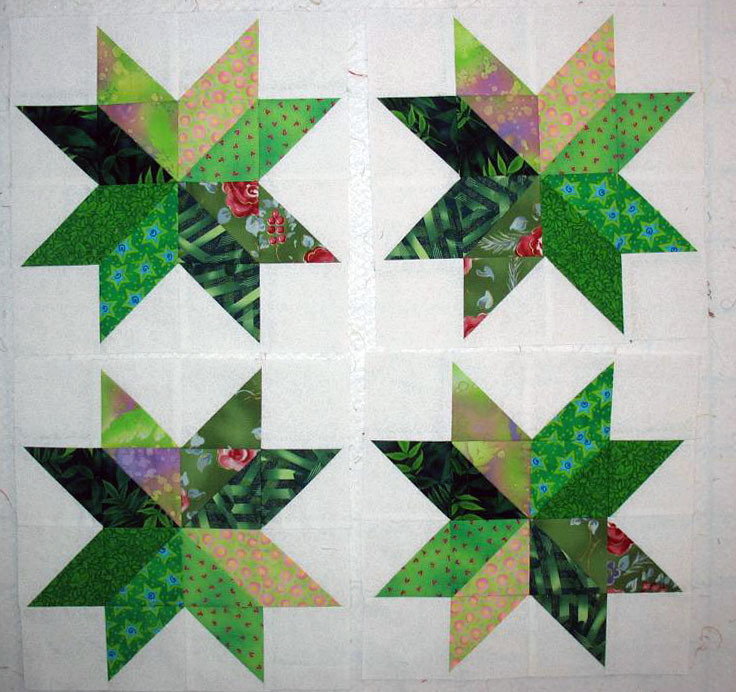 A nice little respite from the labor-intensive Christmas Star quilt I’ve been working on.